Stunning new, former model home in Cherry Creek Country Club, ready to move into now. 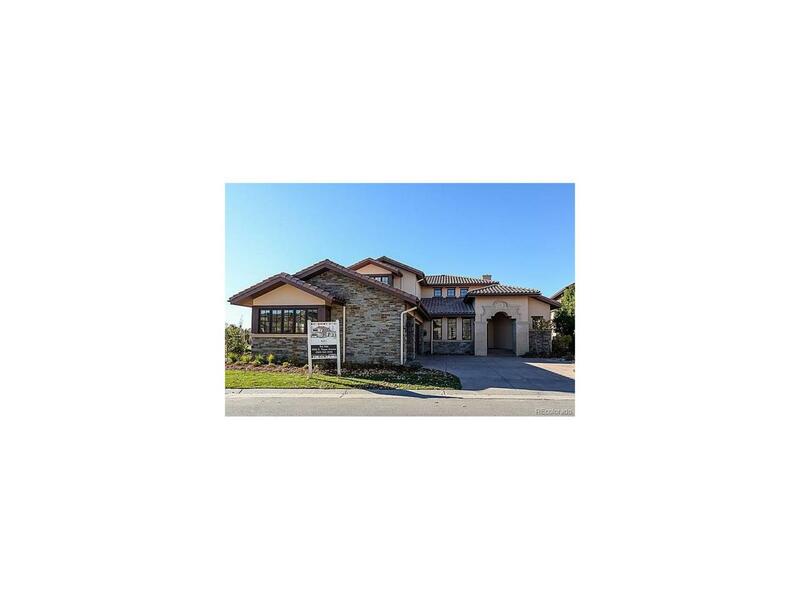 Italianate exterior with architecturally rich stone and stucco and "soft" contemporary/transitional interior. Walkout ranch with bonus bedroom suite and loft on the second floor makes a great guest retreat! Great room floor plan with formal dining room and chefs kitchen with state-of-the-art appliances that opens directly to a large terrace overlooking multiple fairways and pond. Incredible main floor master suite with spa style bath with free standing tub and walk-in closet with custom built-ins. The finished lower level includes an additional 2 bedrooms, 2 baths, game room, wet bar and access to the lower level patio. An incredible lot overlooking a waterway and multiple fairways. All major rooms in this home overlook the fairways and one of the few lots in CCCC with mountain views!